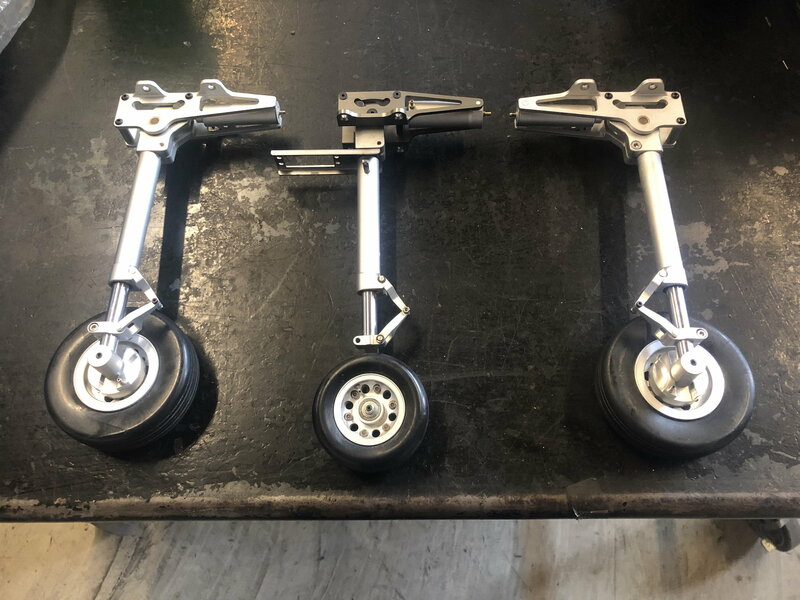 Up for sale is a nice set of landing gear from a Xtreme/Skymaster 1/7.5 A-10 Warthog. My understanding is these gear were mounted but never flown. 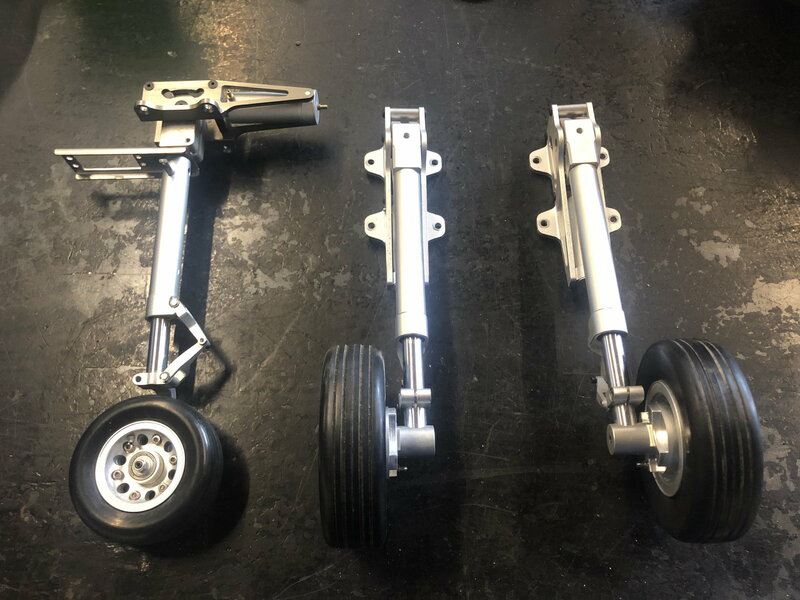 Set comes with retracts, struts, wheels, and brakes. I decided to retro-fit another set of gear I have on hand to my A-10. 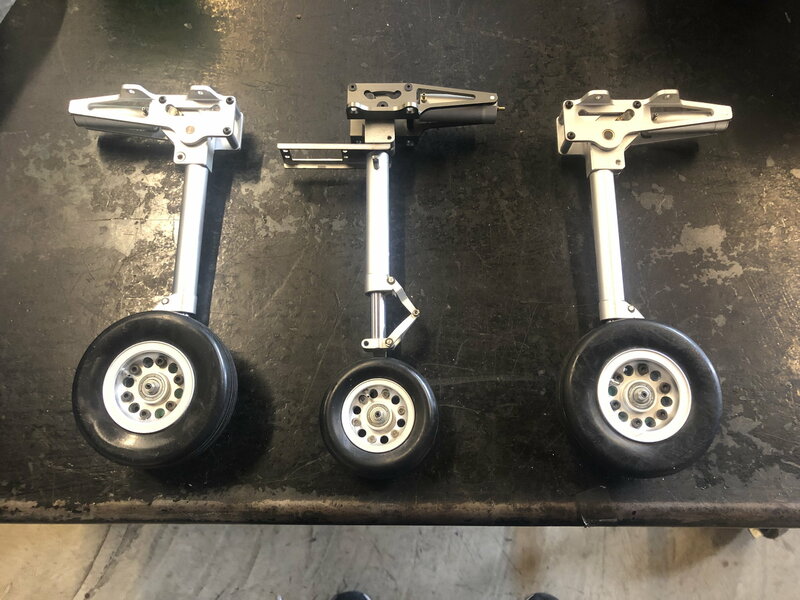 I would imagine you could retro-fit these to work in another aircraft as well. Asking $350 OBO for this set. Thanks for looking. Add 4 % if paying through PayPal. Can you do $275.00 plus shipping? i don't do pay pal. postal money order be ok? 3.5 may work .maybe struts are longer. Main wheels diameter are 3 1/2 inches. Nose wheel is 2 3/4 inches. Main retract dimensions are 4 1/4 (length) 15/16 (width) 1 1/2 (tall). Nose retract unit is 3 7/8(length) 1”(width) 7/8 (tall). Mains=7 3/4 from mounting ears to axle. 6 3/4 from pivot point to axle. Nose gear=7 3/4 from mounting ears to axle.